Alexis Sanchez has agreed a deal worth £14 million a year after tax to sign for Manchester United on a contract until the summer of 2022, claims the Daily Telegraph. United appear to have won the race to sign the Arsenal attacker after Manchester City ended their interest in the Chile international, who is out of contract at the end of the season. Jose Mourinho’s side are now waiting on Henrikh Mkhitaryan to accept a move to Arsenal before finalising the capture of Alexis on a four-and-a-half year contract. Everton have completed the £20 million signing of Theo Walcott from Arsenal. The 28-year-old makes the switch from the Gunners and becomes Sam Allardyce's second signing of the January transfer window, following Cenk Tosun's arrival from Besiktas. Real Madrid are ready to make a last-ditch bid to sign Pierre-Emerick Aubameyang from Borussia Dortmund, claims Don Balon. Manchester United could sell Matteo Darmian in the January transfer window, with AC Milan and Valencia both showing an interest, reports The Independent . Darmian, who can play at right or left-back, has been unable to secure a regular starting spot at United, who are open to letting him go this month. According to Calciomercato.com, meanwhile, Juventus are keen on a summer deal for Darmian amid suggestions United could use the Italy international as part of a bid to sign Alex Sandro. Theo Walcott's impressive stats warrant praise instead of criticism after his 12-year stint with Arsenal ended with a move to Everton on Wednesday, writes Goal's Chris Wheatley. Hamburg midfielder Walace has not given up hope on joining Flamengo despite talks between the two clubs breaking down, Goal understands. The Brazil international moved to the Bundesliga from Gremio for €9.2 million in the summer, but has only played 12 games for HSV and is already eager to find a way out of the club. Liverpool midfielder Marko Grujic has joined Cardiff City on loan until the end of the season, subject to international clearance. The 21-year-old, accompanied by his agent Zoran Stojadinovic, travelled to Wales on Wednesday to complete the formalities of his temporary switch. The decision on his destination was made in a meeting on Merseyside the previous day, with Huddersfield Town also holding an interest in acquiring his services. Arsenal’s players want the Alexis Sanchez transfer saga to be resolved before their game against Crystal Palace on Saturday, reports the Evening Standard . Manchester United are hoping to conclude a deal for Alexis after Manchester City pulled out of the race, although it appears to hinge on Henrikh Mkhitaryan agreeing to move in the opposite direction . Speaking after Arsenal’s defeat at Bournemouth on Sunday, Arsene Wenger stated he was expecting Alexis’s future to be decided within 48 hours . However, with no resolution reached, the Arsenal are squad are determined to see the Chilean on his way before their next match at home to Palace at the weekend. Manchester City centre-back Nicolas Otamendi has signed a new deal that runs until 2022. The 29-year-old has made 118 appearances since joining the club in a reported reported £32 million move from Valencia in 2015. His original contract was due to expire in 2020, with Wednesday's announcement adding two years to his stay at the Etihad Stadium. Alexis Sanchez was worried about Pep Guardiola’s rotation policy before Manchester City pulled out of a deal to sign the Arsenal forward, reports the Manchester Evening News . City have scrapped long-held plans to bring in the Chile international and Goal understands Sanchez’s agent Fernando Felicevich going back on his word was a key factor in the decision . However, though Sanchez was keen to work with his former Barcelona coach Guardiola again, he was concerned about how much playing time he would get with the Premier League leaders. Manchester United are now hoping to finalise a deal for Sanchez, who is out of contract at the end of the season, with Henrikh Mkhitaryan expected to head to Arsenal. Pierre-Emerick Aubameyang's father, who also acts as his agent, is travelling to London for talks with Arsenal, with Dortmund wanting Michy Batshuayi as his replacement, according to Bild . The Gunners have been strongly linked with the Gabon international and it appears negotiations are progressing well, while the Bundesliga club see Batshuayi as a decent option to replace their star striker. Henrikh Mkhitaryan wants to be the best-paid player at Arsenal as part of the swap deal between the Gunners and Manchester United for Alexis Sanchez, according to the Daily Record . As reported by Goal , the deal is already being held up over contract payments on the United end , and there are now apparently further complications with the Armenian demanding big money at Emirates Stadium. Juventus are lining up a summer bid for Arsenal right-back Hector Bellerin, reports Calciomercato . 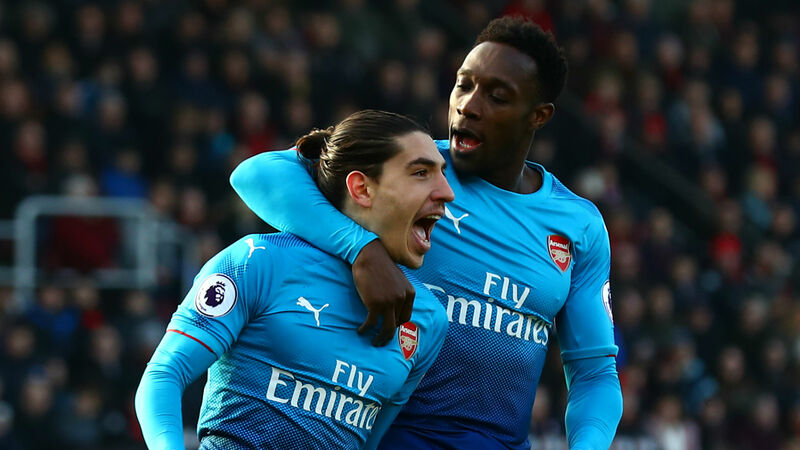 The Italian giants, who are also keen to sign Spanish goalkeeper Pau Lopez from Espanyol, believe that Bellerin's compatriot could prove key to persuading the defender to move to Italy. The pair share an agent, and Juve are understood to be willing to spend big to recruit Bellerin. "Now, this is not important to talk about Sanchez. Not important. Because he's not our problem, so why do I have to waste words on nothing." Pierre-Emerick Aubameyang has pleaded with Borussia Dortmund to let him complete a move to Arsenal, according to the Daily Mirror . Aubameyang has reportedly agreed terms with the Gunners, who continue negotiating with the Bundesliga giants. 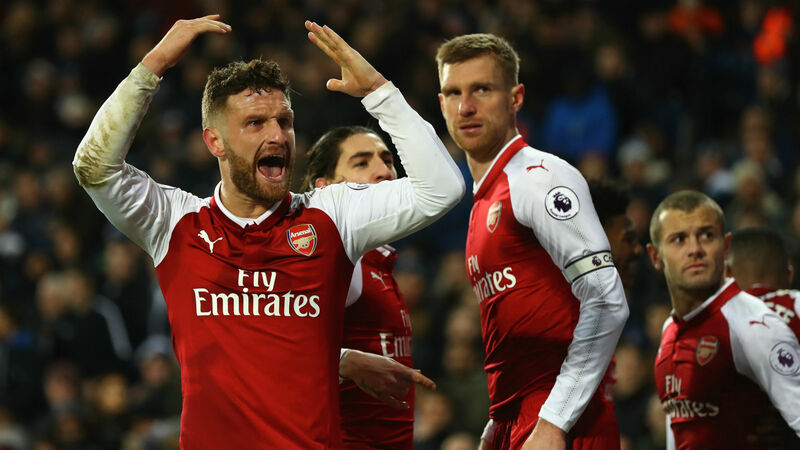 Dortmund, however, are reluctant to see him go, although they would consider a deal that includes striker Olivier Giroud heading in the opposite direction. Manchester United boss Jose Mourinho is insistent that Marouane Fellaini must stay at Old Trafford, reports the Sun . Fellaini is reportedly keen to seek a new club and is holding out on signing a new contract. But the manager is desperate to keep him, and has told the United board to pull out all the stops to ensure he stays put. 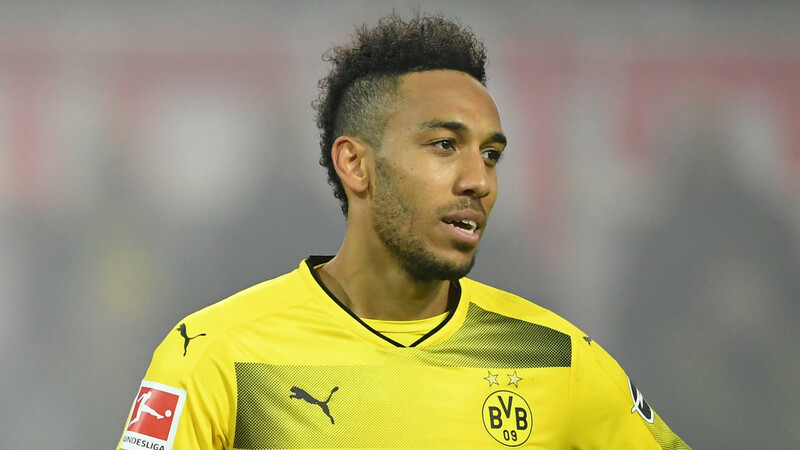 Arsenal are closing in on securing a deal for Pierre-Emerick Aubameyang, with Dortmund wanting Michy Batshuayi as his replacement, according to Bild . The Gunners will apparently shell out €70 million for the Gabon international and an agreement will be reached in the coming days. Jose Mourinho is nearing a new contract as Manchester United manager, according to the Daily Mirror . The 54-year-old's current £15 million-a-year deal runs out in 2019. Barcelona's Aleix Vidal could seal a move to the Premier League in the current window after interest from Sevilla cooled, according to Estadio Deportivo . Jack Wilshere might be forced to take a £20,000-a-week pay cut if he wishes to renew his Arsenal contract, according to the Daily Mail . The midfielder is just one of a handful of Gunners stars whose current deals are up in June. But the newspaper asserts that even though Arsenal look set to lose Alexis Sanchez and Mesut Ozil, they will try and cut Wilshere's wages from £100,000 to £80,000 per week. Simon Mignolet is unhappy at Liverpool and considering a €20 million switch to Napoli, according to Belgian publication Het Nieuwsblad, via the Liverpool Echo . Mignolet has been displaced as Jurgen Klopp's first choice by Loris Karius, while the Reds have also been linked with Roma shot-stopper Alisson. If he does complete a move to Napoli he would join fellow goalkeeper Jose Reina, who also left Anfield for southern Italy in 2013. The Blues are wary of further limiting their options up front, even though the Belgian favours a temporary move away from Stamford Bridge. Zinedine Zidane could leave Real Madrid after being offered the chance to take charge of the France national team, claims Diario Gol . Zidane has come under fire at Madrid in recent weeks after a painful slump in form which has left the Liga holders in fourth position halfway through the season. If Alexis opts for London over Manchester, however, Los Blancos will redouble their efforts to sign the Belgian star.